"What is clear is that we need new faces," says Kuchma. As the second round of Ukraine's presidential election approaches, former President Leonid Kuchma says the country's political system has become deeply dysfunctional and needs an infusion of fresh talent. Speaking to Dmitry Volcheck of RFE/RL's Russian Service, Kuchma said regardless of who wins the February 7 runoff between Prime Minister Yulia Tymoshenko and opposition leader Viktor Yanukovych, Ukraine's political institutions will remain incapable of dealing with the country's pressing problems. "What is clear is that we need new faces," Kuchma said. "It is also as clear as day that whatever the outcome [of the runoff election], it will not bring political stability or resolve any economic problems in the country." Kuchma said the promise of the 2004 Orange Revolution -- which saw massive public protests carry Ukraine's first pro-democracy leader, Viktor Yushchenko, to the presidency -- has not been fulfilled, and that the country suffers from a deficit of public trust. He chided Yushchenko and Tymoshenko, the Orange allies who have since become bitter rivals, for "bickering over who had more authority in the country instead of doing their work" over the past five years. 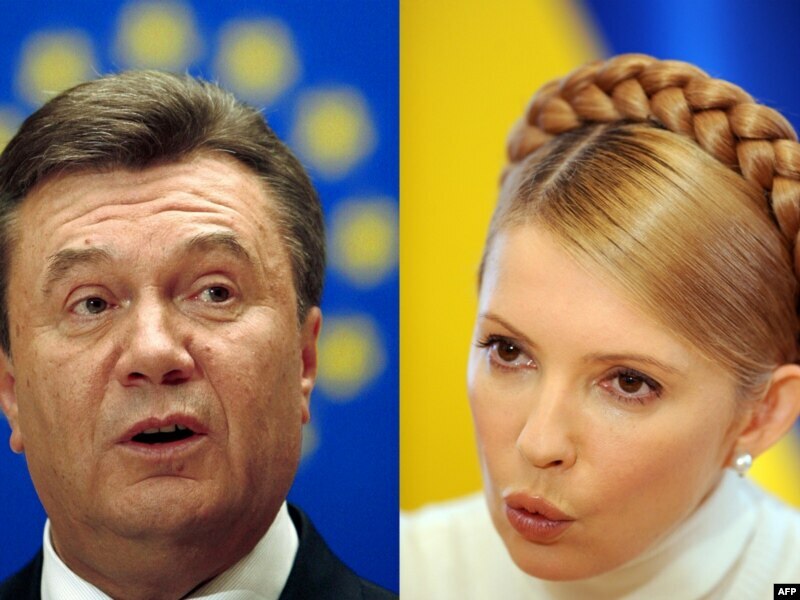 Yanukovych (left) and Tymoshenko will face off on February 7. "Ukrainians should be ashamed of this situation in the country where none of the branches of power -- neither the president, nor the government, nor parliament -- enjoys the respect of the people," he said. Kuchma served as Ukrainian president from 1994 to 2005 and is credited with implementing reforms that stabilized the country's post-Soviet economy. But his administration has also been accused of widespread corruption and stifling the nascent free press. Critics allege that he was complicit in the disappearance and killing of opposition journalist Heorhiy Gongadze. He left office in disgrace following the 2004 Orange Revolution when Yanukovych, his chosen successor, was accused of massive vote-rigging. Yushchenko won a revote following weeks of street protests. But while the Orange Revolution briefly ushered in an era of hope that Ukraine would enact the reforms necessary to join European institutions like NATO and the European Union, it also accented the divisions between the Ukrainian-speaking western regions and the largely Russian-speaking east. "[When I was president], I did not feel that Ukraine was divided into the west and the east. On the contrary, I thought we were beginning to understand each other," he said. "But that  presidential election once again split the country in two. And I don't think that has changed since then. 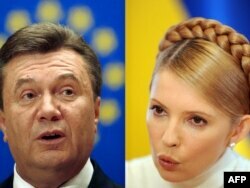 It is clear today that Tymoshenko has more support in the west and Yanukovych has more support in the east." As president, Kuchma followed what he calls a "multivectored" foreign policy, which sought to maintain good relations with both Russia and the West. He criticized Yushchenko for changing that course and for acting as if "Russia does not exist for us" and that "there is only the West." Kuchma said this naturally elicited a negative response from Moscow. Kuchma added that regardless of how close Kyiv's relations become with Moscow, there is little risk that it will imitate Russia's authoritarian political model. "I'm absolutely confident that such fears are groundless. Ukraine is really not Russia and we have a different mentality," Kuchma said. "There are three bosses for every two Ukrainians, that's true, and there is always some struggle at every level. So, I don't think such a threat exists. Moreover, our parliamentary-presidential model protects the country from dictatorship."